Maybe I should just change my middle name to Samsung, everything I buy these days seems to be made by those crafty Korean geeks. Wifi Enabled with RSS reader. Yes, it’s exactly what I made from an old Palm T|X, but with a 800x600 screen … for pretty much the same price. I've got a similar frame, the WPF-288 by eStarling. 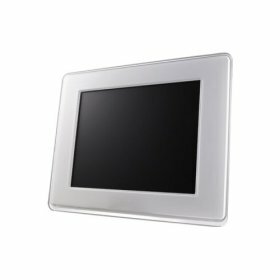 It's 8" 600x800 and Wi-Fi enabled with RSS support and has a unique e-mail address. A nice bit of kit.